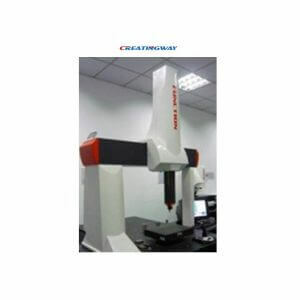 The metrology and quality inspection in manufacturing is very important to our production, This is main quality standard and system, will make our quality engineering to inspect product quality is good or bad, Today, we will share these knowledge to you. We also use reverse engineer projects while applying CAD and CAM measurements so we can achieve the best outcome. By creating 3D designs, we can achieve any aspect in your design that was uncontrollable. We do have the right team and the resources required to improve the product quality. What’s the measurement and quality assurance? Let me start by highlighting the term used in quality maintenance. It covers quality control, quality assurance, and metrology as relates to quality inspection in manufacturing. Before many years, the production process took place almost entirely in a single factory. The process involved the use of master parts, gauges and single-use machines. Instead of over-relying on the physical original parts, we use of digital CAD models or drawings. With the right tolerances, the parts will fit perfectly and perform accordingly. We are using calibrated measurement instruments to tailor their master parts. The instruments are used for inspection of parts. Quality control is one system control flow based on ISO, it is included from raw material inspection, semi-product, finished products whole processes, so whole flow we have to execute each of quality details and attention points. Quality assurance is the basis used when judging the requirements to be fulfilled. Quality controls help confirm whether you have met all requirements. The difference between the two terms is very small. At times the terms might even be interchanged. Metrology can simply be described as the science of measurement. Its study ensures we compare the results of different measurements around the world. Given that all measurements have a given degree of uncertainty we can agree that any reading taken is actually and estimate. That is why its practically impossible to attain the true value or any measurement, resulting in the use of the term estimate. If you were to subtract the true value from the measurements result, you will get a measurement error. Given we are incapable of determining the true value, we cannot calculate the error. The best way to exceed customer expectations, custom components and other assemblies is to highlight ways of effectively communicating so as to achieve customer satisfaction. Monitoring and measurement programs work on precision machined products when defining the drawings, specs, purchase documents, production routers, and testing procedures. All purchased products will undergo visual inspections once received.Designated products will also receive detailed and technical quality control inspections. As a first article inspection, operator inspections guarantee quality and timely delivery of completed customer orders. Completed CNC machining products are subjected to final quality control inspections. Inspectors will conduct and record tests and carry out final inspections that require packaging and shipping. Once you determine the accuracy/uncertainty of a given measurement, you can then decide whether a machine part conforms to that tolerance. To maintain quality control when manufacturing, you must be in a position to understand and quantity uncertainty measurements.